It was 8 degrees this morning when I went into work. And I have 8 Thursday’s left to work. Sure hope it gets warmer. I met a friend for dinner at Art and Soul. I had the swordfish, very tasty! And discussed some future opportunities for me, very exciting. 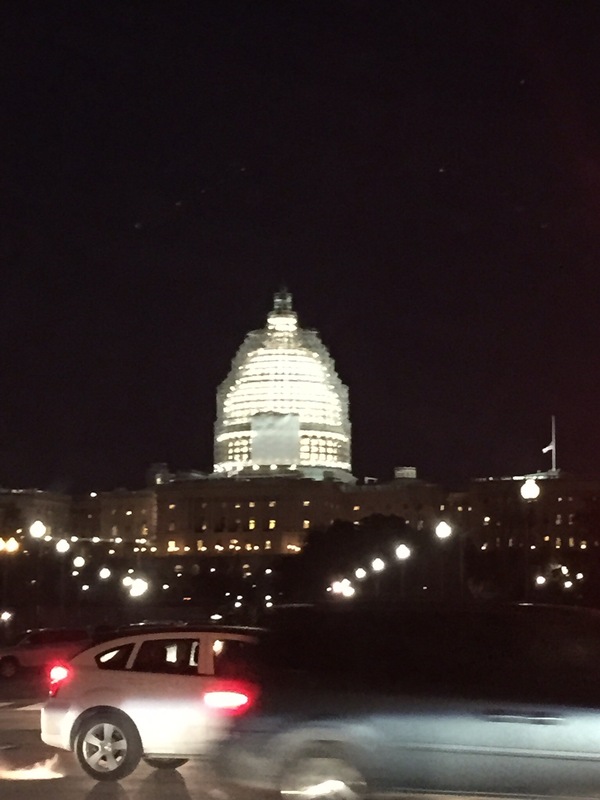 Drove by the Capitol which is undergoing renovation on the dome, very cool view, though the photo from my iPhone does not do it justice. Looks like it has a shroud wrapped around it. This entry was posted in Uncategorized and tagged restaurant, retirement by candyt9. Bookmark the permalink.